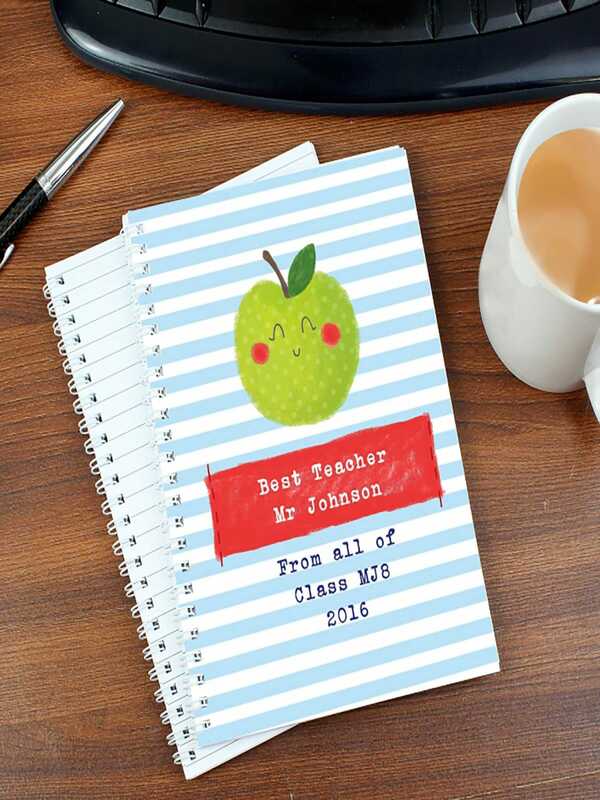 Your teacher's name with your choice of 5 lines of text on the cover of this happy apple for the teacher notebook in A5 size. 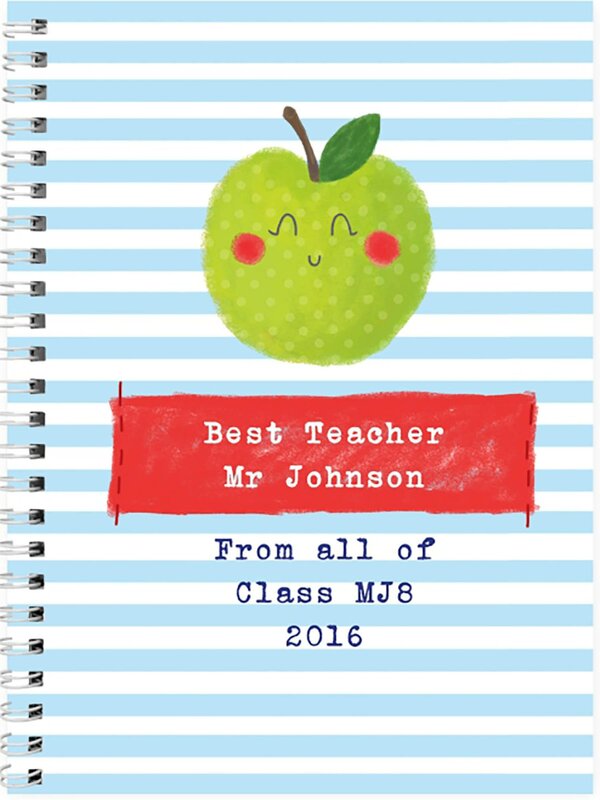 A happy apple personalised A5 notebook with a 5 line message for your teacher. 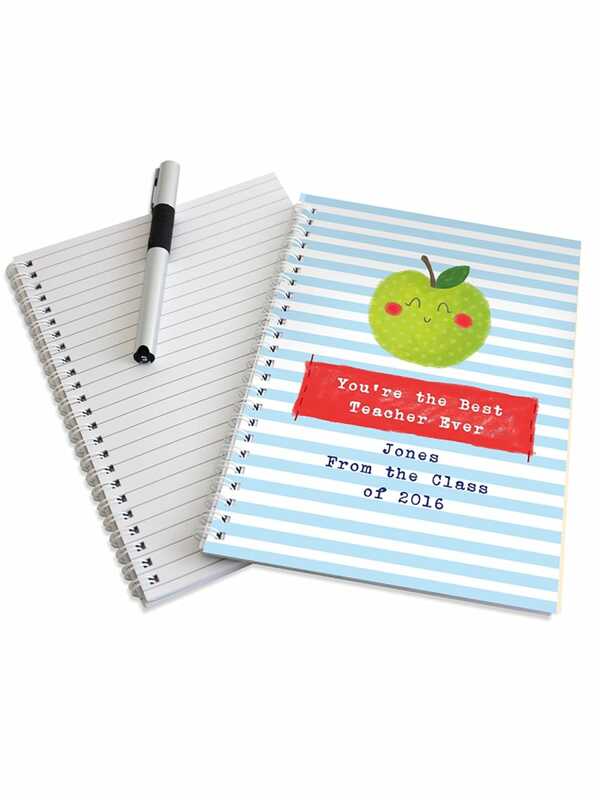 40 lined sheets double sided.